We — hubs and I and a friend — went to see the Metropolitan Opera’s production of Carmen this week. We saw it at a local movie theater as part of The Met in HD series, where the company broadcasts live performances on Saturdays and reshows them on Wednesday nights. I’ve sung in the chorus of two Carmen productions — one in a small company, one with Washington Opera at the Kennedy Center. I love the opera. Along with Puccini’s Turandot, it counts as a favorite. But like Turandot, it is also a very difficult opera to fully dramatically realize on the stage. Part of this is due to its pitch-perfect music. Everything you need to know about Carmen and Don Jose, their friends, acquaintances, family, is written in the score by Georges Bizet, from the seductive allure of the Habanera to the haughty pride of the Toreador’s Song to the melancholy of the card scene and even to the cheerful plotting of the smugglers’ ensemble (and let’s not forget the purity and fearlessness of Micaela). So any staging of Carmen is destined to fall short, in a way, to the images one sees in one’s mind as soon as the first notes of the Fate Theme sound. Add to this the challenge of making some fairly static scenes come alive and some incredible coincidences (Escamillo showing up at the smugglers’ lair…and dressed well, to boot!) credible, and you have an opera that tests the artistry and intellectual understanding of the best directors. The Met production was very good. The singing was outstanding. Anita Rachvelishvili’s Carmen was velvet lyricism from the top to the bottom of her range, not an easy accomplishment when so much of the low singing has to be done in chest voice which can become harsh and rough in the wrong vocalist’s hands. The other singers were equally wonderful. What of the staging? The New York Times called it “grim,” likening it to a Wozzeck more than an opera about sensuality and high spirits before its sad denouement. I concur. There was a lot to like, but a few things didn’t quite work. This production was moved up to the 1930s, and that meant no “toy soldier” costumes for Jose and his officers. Instead, dully green-gray, a nice touch. Other than that, why set it in this period? One kept waiting for some other tie to the period that never came. In fact, costuming was ragged with some choristers dressed as if they’d mistakenly grabbed 1800s’ garments, others not so much. The cigarette girls chorus staging was odd. The women entered…from a trap door! Usually, the lilting, smoky tendrils of music that introduce this chorus are used to allow the choristers to dreamily, steamily saunter on stage, sometimes from a second-floor set indicating the factory’s upper stories. Why did the director choose to forgo using this evocative music to overlap that kind of visual and opt instead for women being helped out of what appeared to be a big…..sewer? Beats me. Later, when this chorus reappears to take sides in the Carmen factory fight, the action seemed too stagey and static. The key to keeping this scene moving is to make sure that even the chorus that’s not singing is still doing something, not just waiting for its cue to come in. While on the subject of the chorus (and since that’s what I know from true experience), the most difficult one is the fourth act, the pageant before the bull fight. This chorus can feel ragged with its stops and starts, and it requires a real parade of supernumeraries to make the scene itself appear like anything beyond a high school production level of staging. Sadly, the Met had that high schoolish feel, a disappointment given this company stages far bigger pageantry for other operas. I’d love to see, too, a sense of the pride and dignity of Jose. He might be a lowly corporal, but he is, after all, a “Don,” from Navarre, from such a good family that, in the Merimee story, he is spared hanging (for murdering Carmen) and will be killed with a garrotting, a death reserved for upper-class men. Jose must have the bearing of the elite. He must communicate with his posture that when he succumbs to Carmen, it’s a total transformation, giving up that ingrained sense of dignity. He is so besotted by her that he lowers himself. But often, Jose is played a bit fecklessly, as if a smile, a wink, a flower thrown in his direction is enough to turn his heart and soul to a different path. To make this unbelievable moment believable, you have to see a strong man first who cannot bend in harsh winds; he can only break. Ironically, opera directors could steal a page from soap opera directors to capture this moment. This is a conceit often used on soaps — good guy or gal, maybe on the outs with their beloved, suddenly gives in to passion with The Wrong Type, and Consequences ensue (for many months of storytelling!). And it’s always believable. The Merimee story focuses more on Jose — it’s told from his point of view as he awaits his death for killing Carmen — so you become far more familiar with his obsession and how alluring Carmen was in his eyes. Her laughter, in particular, seduced him, and her free spirit that would not be tamed. You also feel, in the story, her love for him…until he pushes her too far. 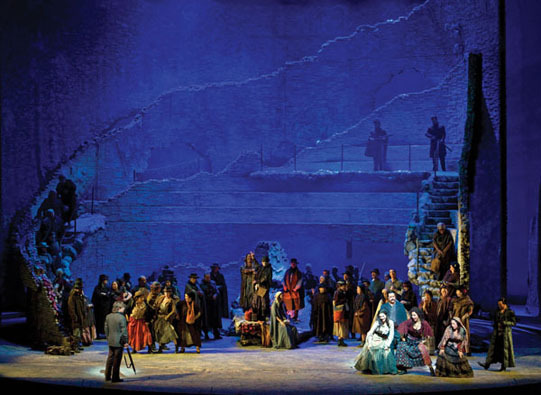 Those are difficult transformations to capture in an opera, but careful staging, costuming and makeup could telegraph so much more than the typical Carmen production usually suggests. Why not, for example, have Jose’s hair longer, perhaps pulled in a small ponytail, in the smugglers’ scene–telegraphing the passage of time in this tumultuous love affair. Why not, too, have Carmen show more affection for him in that scene so that we see she did, in fact, love him, even as the embers cooled? 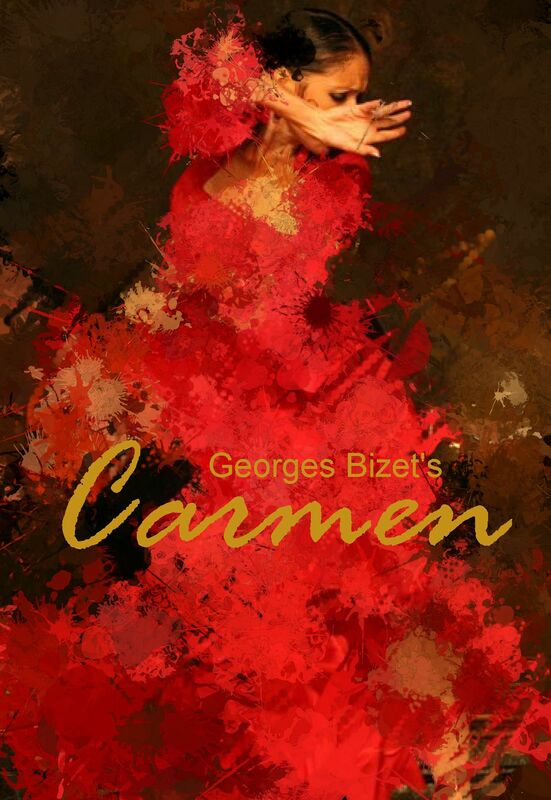 I do go on…but Carmen is such a great opera it’s hard not to offer one’s own vision for this magnificent story. The music just won’t let go!